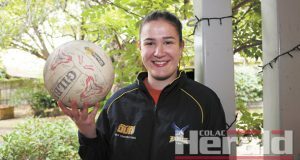 Janelle Monaghan will continue her family’s coaching legacy at South Colac when the star netballer takes on a senior mentoring role for the first time this season. Simpson bowler Peter Inglis has declared he will return to the green next season after emergency heart surgery ruled him out of the remainder of this year’s finals series. The Colac District Football Netball League has given the green light to Simpson’s Anzac Day night match proposal, with the Tigers set to take on Birregurra. Camperdown football export David Lake will be a part of AFL Women’s history after scoring the role of Gold Coast’s inaugural coach. Irrewarra-Beeac co-coach Jaden Angus has challenged talented footballer Chris Dunne to reach new heights on his return to the club in 2019. Irrewarra’s Josh McDonald and Colac’s George Melville and Isaac Johns enjoyed late-game heroics to get their sides over the line in Colac district’s junior cricket grand finals. 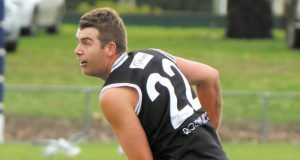 Three-goal hauls from new recruit Dustin Walters and back-up ruckman Matt Garner were among the highlights from the Colac Tigers’ practice match victory over Balwyn. New football teammates will become enemies in tomorrow’s Colac district cricket Division One grand final.